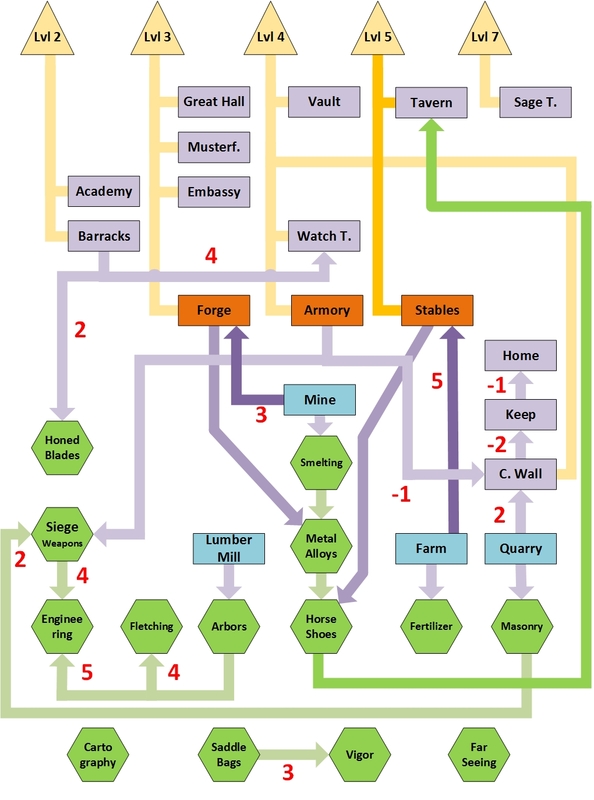 So for my post on training Tier 4 troops, I made this nice little flowchart which showed the relations and dependencies between buildings and research which you need in order to train Tier 4 troops. I decided I would do the same for ALL buildings in Kingdoms of Middle Earth, but this time up to level 10. This is because the dependencies change in runecrafting mode. So without further delay, the below two charts show the dependencies for all buildings in your cities. I made two versions; one comprehensive one including player level, and one without those, as the highest player level requirement is level 7 and it is save to assume we do not have those in our alliance anymore. 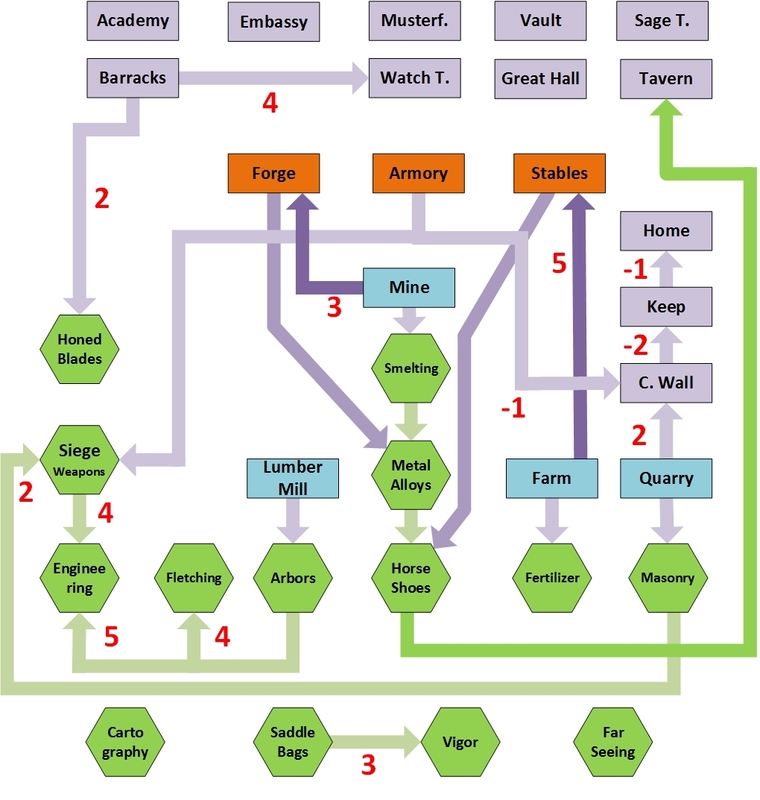 This entry was posted in Articles, City building and tagged academy, barracks, building, city, city wall, construction, dependency, flowchart, hobbit building crew, honed blades, keep, kingdoms of middle earth, KoM, level, research, runecrafting by beardmonkey. Bookmark the permalink. Increasingly the alliances are asking for certain player levels (example would be player level and 500m might). I cannot find anything about how to exactly generate this, I can only see that building seems to be the only way. Is it strictly linear, or are the multipliers in each town / between the towns? I.e. Always the same number of points, or if I have a keep *11 do I get more points? Which buildings give the most points etc. Do i have to build everything all over againg on the other citys? or i just leveled my barracks and homes? Sorry!! Great blog you have here!